Happy Wedding Wednesday friends! 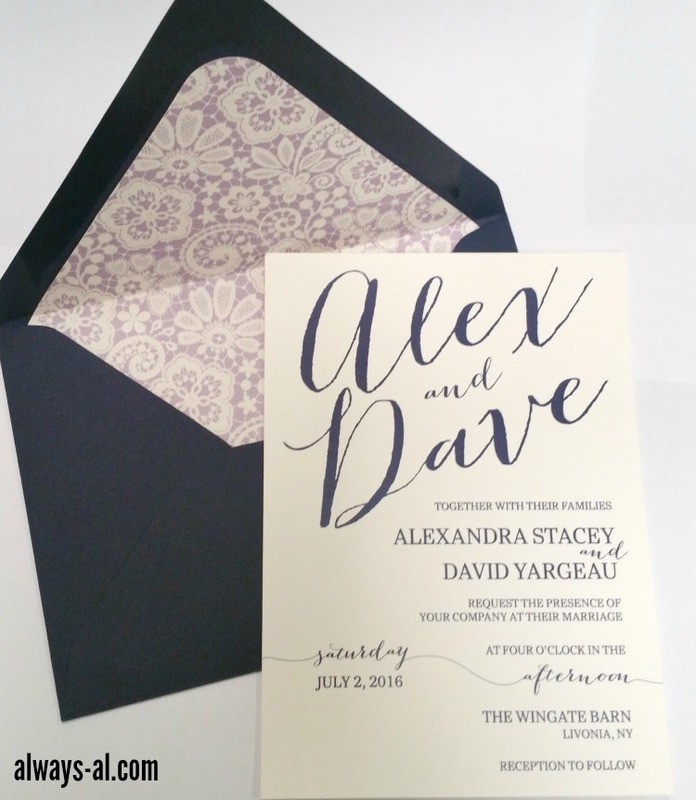 I am excited to finally share our wedding invitations with you! 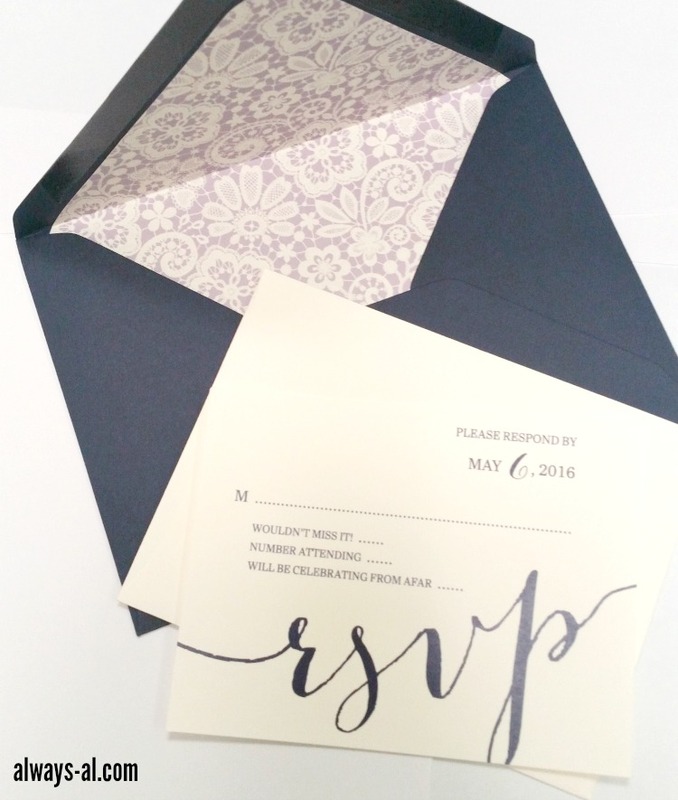 Now that (almost) everyone has RSVP’d I wanted to share these with you. The paper goods for our wedding have a special place in my heart, since my dad opened his own print and copy shop last summer. He has been printing everything for us, and I feel like everything is so customized. I have been able to choose colors, design, wording… just everything. The only downside of this is that I had to assemble EVERYTHING myself. Nothing was pre-made which was a little bit time consuming. I had a really hard time choosing a design. I knew what I wanted, but couldn’t find it anywhere. I finally made myself choose one of the designs I saved from Etsy, and I was thrilled that they could customize it to be exactly what I wanted. The design is from TeeshaDerrick, and it was so great to work with them. 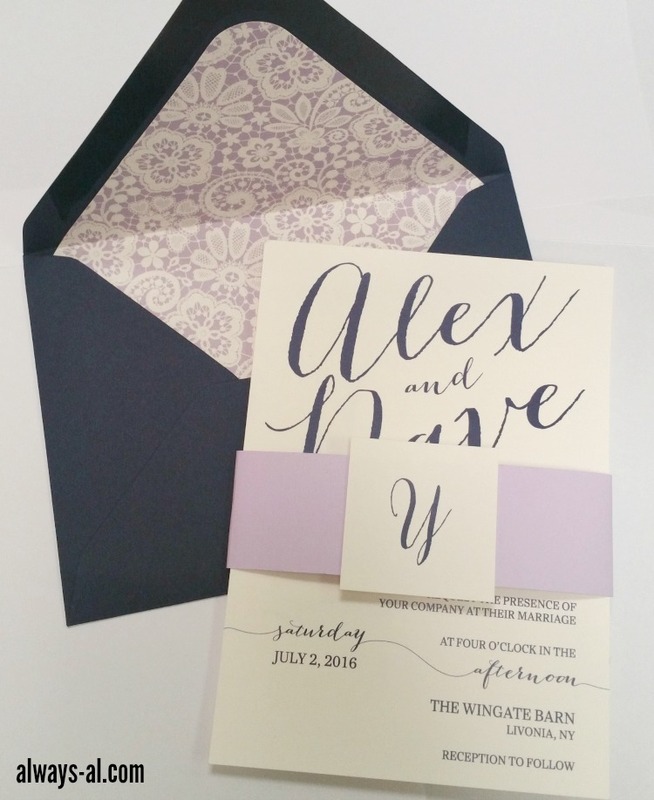 The invitation suite came with the invite, rsvp card, info card, and the monogram for the belly band. Since we went with the navy envelopes, they couldn’t be printed on. I hand addressed all of them, which I actually didn’t mind that much. I used a white gel pen and the Lettermate to keep everything looking good. Some of my favorite ladies and I are joining together to give one of you an Anastasia Beverly Hills Glow Kit, AND $15 to Sephora! Make sure you go visit Lindsay for her new series, Tuesday Treat!